Have you recently placed an order with Customized Girl? If so, you might have seen a new postcard included with your package. That postcard includes most of the same contest details as this blog post. See below for more info! Follow our Instagram account @CustomizedGirl. Tag your Instagram photo with @CustomizedGirl – If you don’t tag us we won’t able to see your lovely selfie. Add the hashtag #CGmoments in your caption. Each month we’ll scout out all your CG Instagram selfies of you rockin’ your designs and repost to our own page. We’ll select one lucky winner from each month’s selfies to win a $50 gift card. Those 12 winners will then be entered are in a drawing for the December Grand Prize of $250 for more custom apparel goodies! There is no limit to the number of entries per user, but we will only award one prize per month. 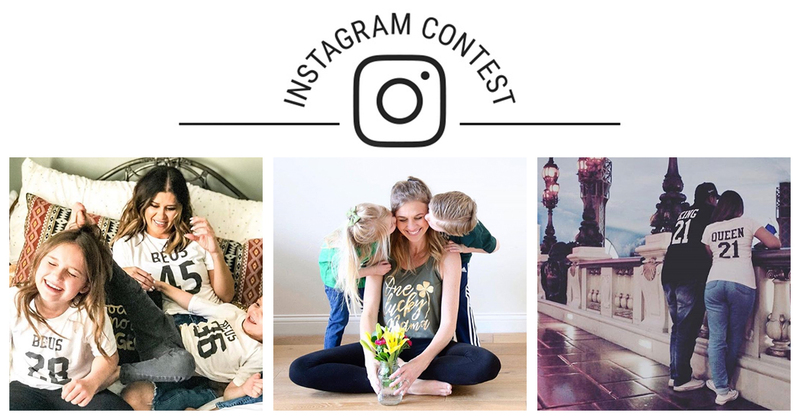 By submitting a photo, entrant grants Customized Girl the right to publish submitted photo, name, city and captions on our website, social media or any other marketing materials. Slight photo alterations may be made by our staff in order to fit properly on our website or marketing materials. Photos deemed to be inappropriate or offensive by Customized Girl will not be eligible. If a professional photo is submitted to our contest, Customized Girl will not be held responsible for securing usage rights from the photographer. It is highly recommended that the entrant receive rights to use the photo prior to contest submission.